Nagoya, the fourth-most populous city in the country, has long been an agricultural and economic centre due to its strategic location along the fertile Nobi Plain. Its strong and distinctive culinary tradition sets it apart from its neighbours – Kyoto and Osaka. Here are 12 recommended local specialties in Nagoya that you must try! One Day Itinerary to Seize All Nagoya! 1. Miso katsu – Nagoya’s no. 1 specialty! The popular Tonkatsu dish, which is deep fried pork cutlets served with shredded cabbage and rice, can be found all over Japan. But what makes Nagoya’s version unique is the thick miso sauce used instead of the traditional tonkatsu sauce. This results in a rich and earthy flavour with a tinge of sweetness that complements the flavor of the crispy deep fried pork cutlet. To taste this no. 1 local speciality, head to Misokatsu Yabaton - Yabacho Restaurant which has been around for almost 70 years! The winning factor of a perfect plate of miso katsu lies in its traditional miso sauce, which is made from natural soybean miso that takes 18 months to ferment. Ebi furai, or shrimp fritters, are almost always found in Nagoya’s bentos (Japanese lunch boxes). They are a great accompaniment to almost any main dish, such as the spaghetti, misonikomi and oyakodon. For an unforgettable taste of the ebi furai platter, check out Misokatsu Yabaton - Yabacho Restaurant, also great for its miso katsu. Kill two birds with one stone just by visiting one restaurant (see restaurant information above)! People in Nagoya love the miso taste. Besides the miso katsu, you will also be able to seek comfort in the misonikomi, which is noodles in miso broth. The Nagoya-style noodles use the salty red miso paste known as haccho-miso, made only from beans without using koji rice malt. Another unique feature of this dish is its serving style: the dish is boiled and served piping hot in a small earthen pot. For an authentic taste of the misonikomi, you can check out Yamamotoya ookute for its selection of noodles in miso broth with different toppings such as egg, mushroom and chicken. It is a traditional eatery that has maintained its traditional flavour since 1925. Opening Hours: 11am - 10pm. Closed every Monday. If Monday is a national holiday, it will be closed on Tuesday too. Did you know that the Aichi Prefecture is the top eel-producing region in Japan? Since Nagoya is the prefecture’s capital, you must try the special Hitsumabushi - grilled eel on rice - when in the city! In Nagoya, the eel is slit open along the belly and grilled as a whole fish. There is also a special local way to enjoy this dish. The eel dish is first divided into four portions. Put the first portion into your bowl and enjoy as it is. For the second helping, add your preferred condiments like wasabi, nori dried laver, or mitsuba trefoil. Then, enjoy the third portion in the same manner as the second portion, with the addition of green tea or broth poured over it. Finally, savour the remaining portion in any of the three methods you like the most! Indulge in an authentic Hitsumabushi meal at Atsuta Horaiken, which was originally founded in 1873 at Atsuta Jingu Shrine. In fact, the name “Hitsumabushi” was coined at Atsuta Horaiken and is now a registered trademark of this ancient traditional restaurant. Opening Hours: Lunch - 11.30am - 2pm. Dinner - 4.30pm - 8.30pm Closed every Wednesday, 2nd and 4th Tuesday of the month except for national holidays. Oyakodon, which literally means “parent and child” rice bowl dish, is a cute reflection of the fact that both chicken and egg are used in the dish. It may be a simple dish, but it is very popular among locals because of its simplicity and rich flavour. For a delicious bowl of wholesome Oyakodon with tender and succulent chicken thigh meat simmered in a sweet soy-sauce, with egg topping on a fragrant bowl of Japanese rice, you should check out Tetsuemon. Spaghetti may be a common dish in Western countries, but when you are in Nagoya, try the Ankake spaghetti that gives this simple dish a twist! The thick spaghetti noodles are pan fried and topped with the sticky spicy sauce inspired by Chinese cooking. Common toppings to the spaghetti include Vienna sausages, Ebi Furai (shrimp fritters), onions, and green peppers. Check out the original Ankake spaghetti at Spaghetti House Sole, where the dish was first created. 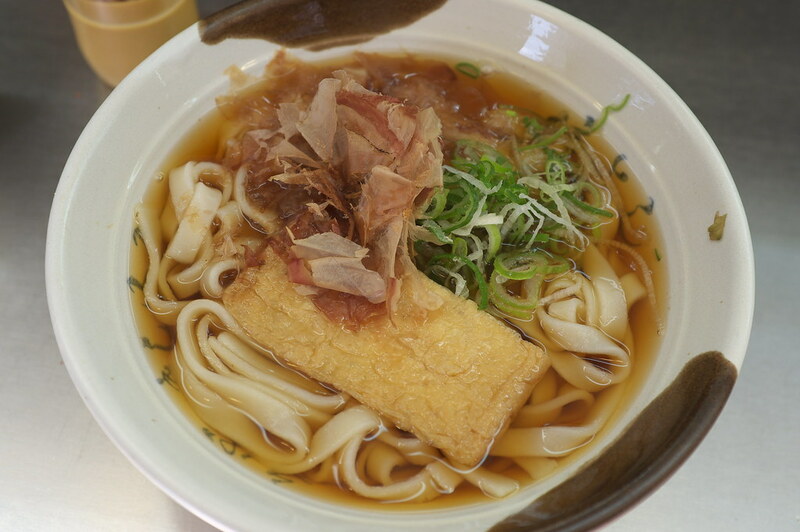 Kishimen is a broad and flat type of noodles common in Nagoya, a local specialty since the early Edo Period. The broth is seasoned with a touch of sweet sake, using a stronger soybean sauce compared to the normal soy sauce produced with soy and wheat. Popular toppings for the dish include steamed fish cake, deep fried bean curd and spinach. Dried bonito flakes are sprinkled on the dish before serving. A great place to taste this dish is the Miya Kishimen - Jingu Restaurant (宮きしめん 神宮店). Located beside the Minamishinike pond on the grounds of Atsuta Jingu Shrine, enjoy your delectable meal with a view. Access: 5 minutes’ walk from Jingumae station of Meitetsu line; 8 minutes’ walk from JR Atsuta station. 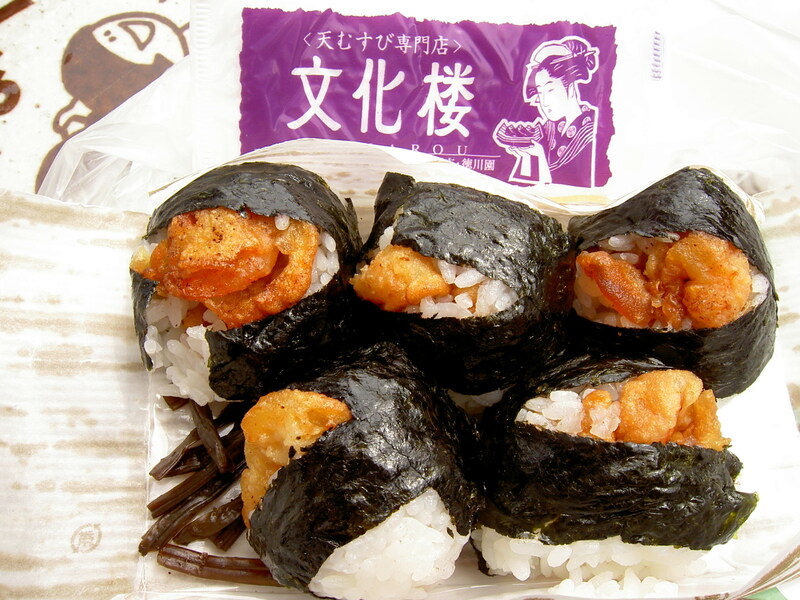 An alternative to onigiri, tenmusu is a convenient food for eating on the go. It may look like just a small and ordinary rice ball but take a closer look at this local delight, and you will see the tip of the shrimp fritter sticking out from the rice ball. The ocean flavour of the shrimp and dried laver brings just the right amount of saltiness to enhance the taste of the rice ball, without the need for salt. 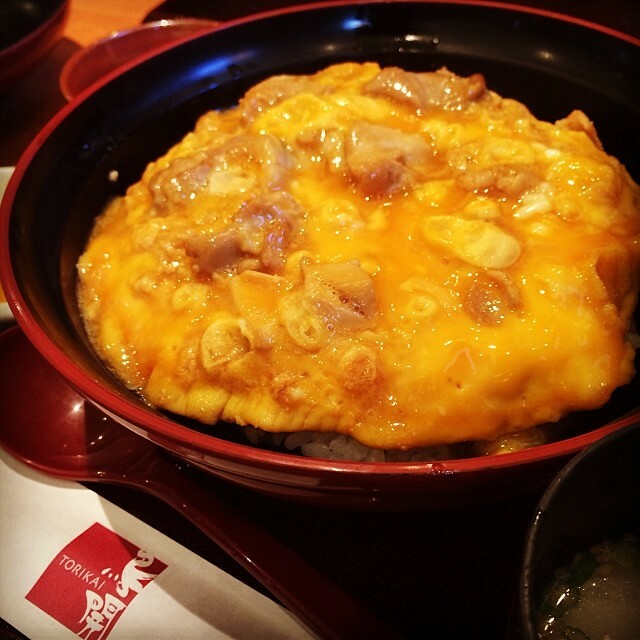 Try them at the popular Senju - Nagoya-Famous Temmusu where you can eat in the store during lunch time from 12pm to 2pm. Caution: Once you start popping a couple of tenmusu into your mouth, you may get addicted to this yummy snack! 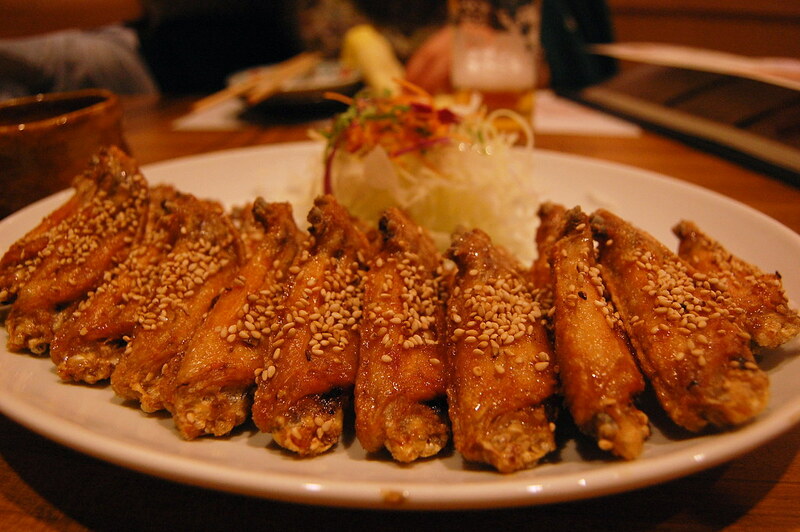 Tebasaki is Japanese-style fried chicken wingtips. These spicy wingtips go very well with beer or sake. Traditionally, wingtips are not usually used in cooking because they have very little meat. However, in Nagoya, they have become a hit with locals because of the creative way to double fry them for a crisp finish. This delicacy has become so popular that you can also find Tebasaki-flavoured ice cream and snacks now. Head to the famous Izakaya restaurant, Sekai no Yama-chan - Sasashima Restaurant, for a really tasty version of the tebasaki! Coffee shops are everywhere in Nagoya and they have become an important part of life where locals go to relax and gather with family and friends. As part of excellent “morning service”, the coffee shops offer free breakfast deals, usually consisting of toast, hard-boiled egg and salad with just a cup of coffee purchased. Sounds like an awesome deal, doesn’t it? To enjoy this incredible “morning service”, visit Shirakabe Cafe Hanagoyomi with a wide variety of items on the menu at affordable prices. Opening Hours: 7:30am - 11pm; Morning (breakfast special) 7:30am - 10am; Lunch 11am - 2pm. Closed year end and new year holidays. Made from mashed Uruchi rice, the goheimochi is a local specialty of Mikawa district. 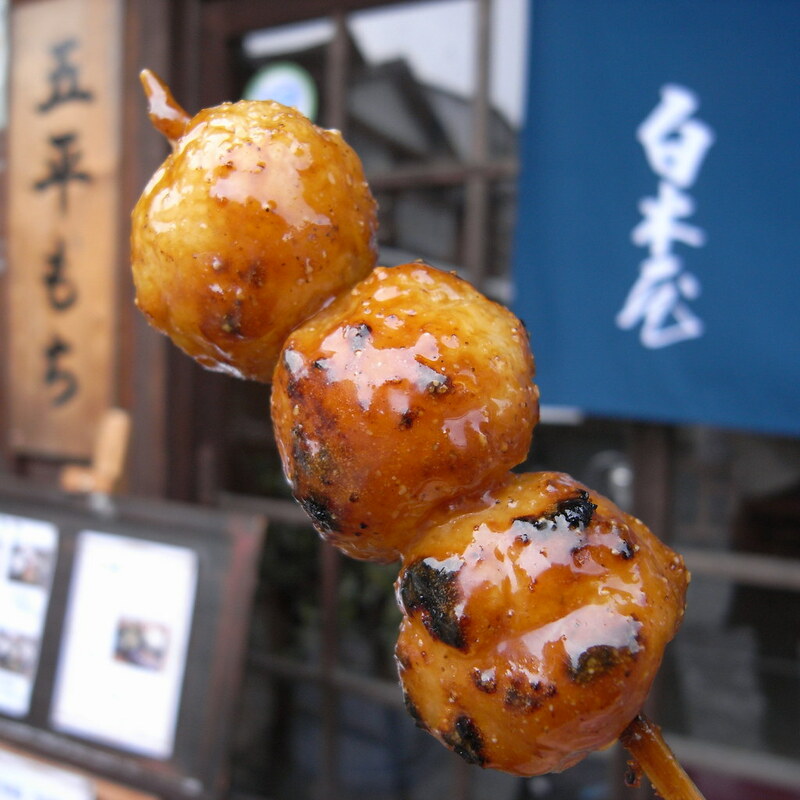 The delicacy comes in a variety of shapes and flavours, but the most popular one is a large oval-shaped piece which is skewered and grilled with sweet and thick miso paste, the favourite local sauce. Head to the oku-Mikawa area where you can have your fill from the 25 shops selling different varieties of the fluffy and yummy rice cake! 12. Uiro – special traditional sweets you can bring home! Uiro is a chewy Japanese steamed dessert made of rice flour and a little sugar. Its texture may be similar to mochi, but feels softer like jelly.Traditional flavours include the yuzu (Japanese citrus fruit), matcha (Japanese green tea), sweet bean paste and chestnut paste. Best enjoyed over a relaxing matcha session with your loved ones, you can purchase this tasty dessert from one of the many Toraya Uiro stores in Nagoya. Are you ready to feast in Nagoya? In addition to these 12 must-try food recommended above, there are many more delicacies waiting to be discovered in Nagoya, the largest city in the Chubu region of Japan! Take your pick from the numerous cafes and restaurants and eat to your heart’s content in Nagoya! Enjoy the foodie tour! Ryokans Or Hotels? You Choose! Your Complete Guide To Nagoya’s Best!